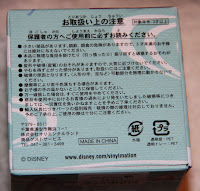 Thoughts from a Traveling Tech: Vinylmations - Konichiwa from Tokyo! One of my most recent acquisitions was a unique new Vinylmation from the Tokyo Disneyland Resort. As I was looking along the shelf I saw this little guy and thought it was something a little different from the normal Mickey renditions. In this case he is wearing a jinbei and carrying a fan. 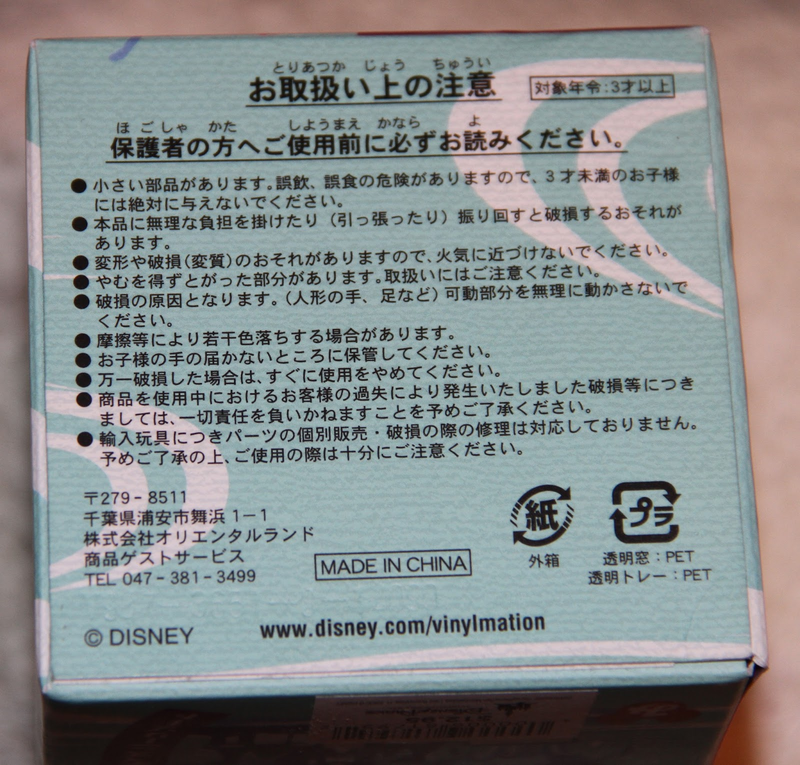 On one side of the fan is the castle logo and the other is a kanji character which I have no clue how to translate. So kawaii! I pulled the box down to read what series he is a member. Imagine my surprise when I cannot event read the bottom of the packaging! Almost the entire bottom is written in Japanese script called Kanji. Sadly my depth of knowledge with the Japanese language does not include anything more than writing Tachikawa (the city my father and I lived in for a few months while waiting for base housing on Yokota Air Base) in kanji. Any more than that and I am lost in translation. are all open box so you always know what you are getting at time of purchase. He looks like he is inflated.